There's still time to participate in Color Challenge 45! Remember, you don't have to have the EXACT colors to play. Just use colors inspired by the ones you see below. This challenge This challenge features vibrant colors to inspire you — Razzle Berry, Orange Fizz, Cornflower, and Green Room. From Frau Vögeli comes this happy design featuring the Fresh Cut Flowers, Wonky Stitched Circle STAX, and Accent It - Celebrate Die-namics. So pretty and simple! 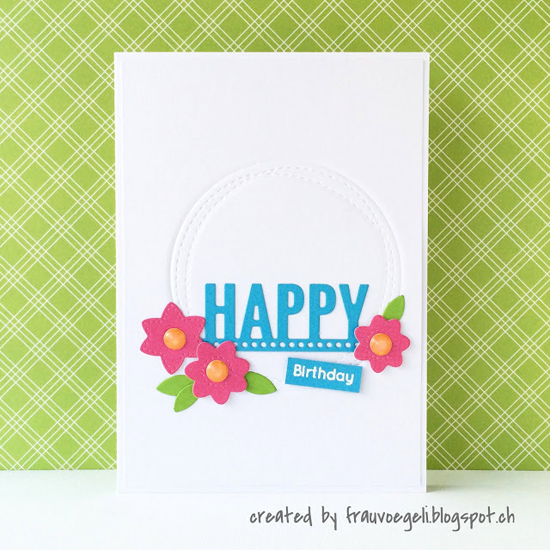 And check out this fun card by Raluca Vezeteu. 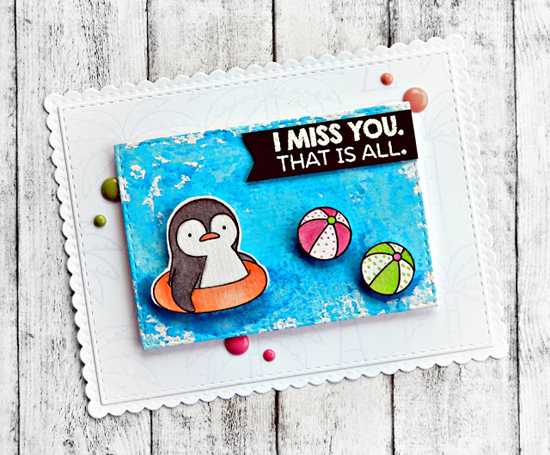 She uses the Penguins in Paradise stamp set and Die-namics for her whimsical design. What a great idea to interpret the Cornflower as pool water! THANK YOU so much for sharing my card! I'm dancing the happy dance right now!!! :-D Happier than a bird with a french fry!! !